Ever tried turning an image into grayscale in CSS? Can it be doable? Yes. With the help of filters. Note that the second and the third ways involves the actual conversion of the images. Its okay with the image editing software on your computer, but can be pretty expensive on the server-side. Using CSS3 filters to make images grayscale is very easy and also avoids using any script libraries. Rest of this article shows how you can do it in merely 5 lines of code. With the above CSS, all the images with the class grayscale will appear desaturated or black & white in the browser window. 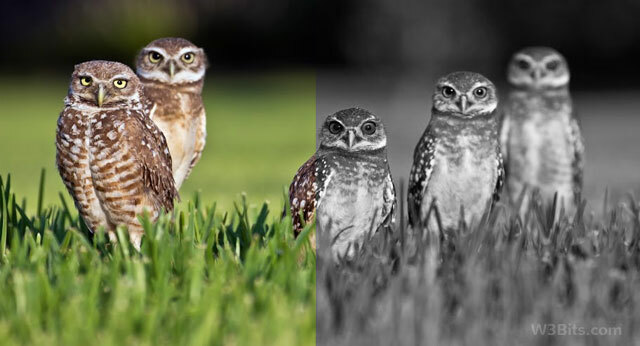 You may vary the percentage value of the grayscale filter to adjust its intensity as per your need. CSS3 filters won’t work in older browsers, but if you still want fallbacks for them, below is a list. For a neater code, you may consider putting the SVG code in a separate file (.svg) and then call it in using filter property. In the below code, 1 stands for 100%. A lesser value will lower down the intensity of the grayscale. No CSS fallbacks available for IE10+ yet, therefore you have to use a different solution like grayscale.js or similar. The above code has power good enough to make your images appear grayscale in major browsers except IE10+. Watch the demo again, or let me know your thoughts on this.